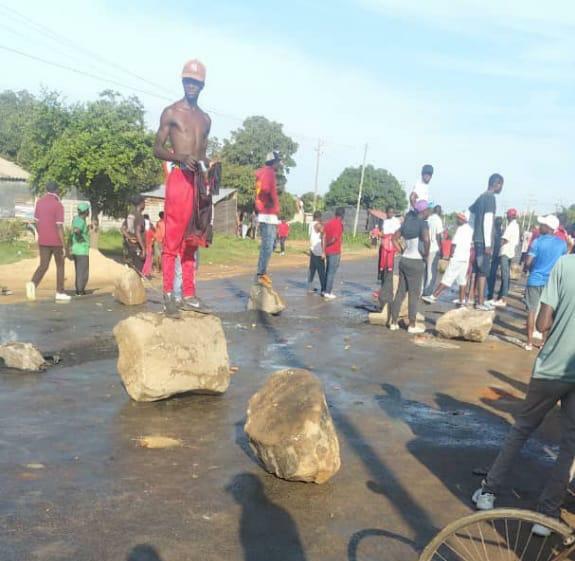 Harare - Government has put the blame on the main opposition MDC Alliance party for the violence that brought most major towns to a halt. Riots were triggered by recent fuel price increases of more that 150 percent, causing a surge in transport costs. So far, one person has been confirmed dead, while wanton destruction of property was the order of the day. State security minister, Owen Ncube said security organs are now on high alert to fish out perpetrators. “The prevailing security situation in the country is a culmination of a well-orchestrated series of events by the MDC Alliance working in cahoots with NGOs, civic society, youth organisations, pressure groups and individuals. “Regrettably, this has resulted in the loss of life and property including injury to police officers and members of the public. “We express our deepest condolences to the bereaved families. Full investigations are underway,” said Minister Ncube. He added that Government was aware of meetings organised by the Crisis Coalition from December 3-7 last year to foment disturbances in the country. “These meetings were coordinated by Crisis Coalition and some identified foreign agents. There were other meetings such as the one held on 11th January 2019 in Belvedere, whose agenda was to plan for the disturbance of peace and render the country ungovernable.